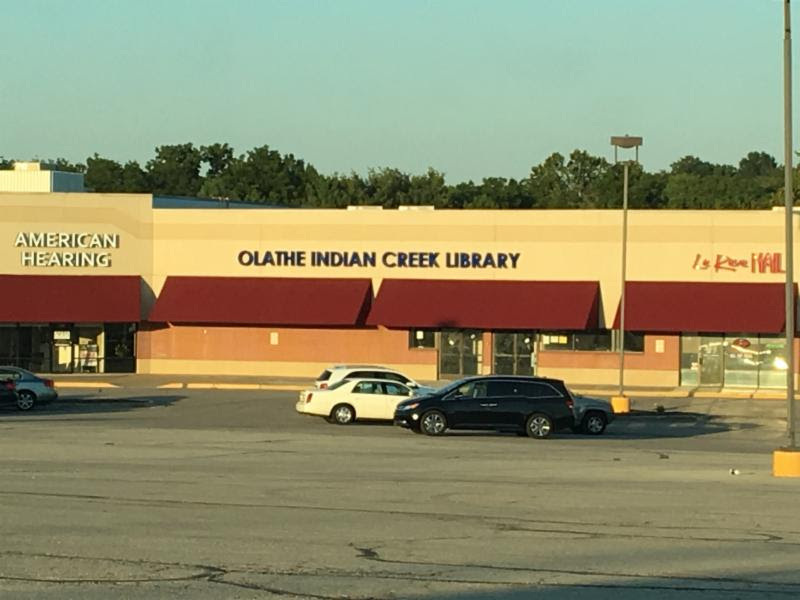 Olathe Indian Creek Public Library is hosting a grand opening celebration open to the public. The festivities will be in the library's temporary space is located at 13511 S. Mur-Len Rd., Suite 129 in the Santa Fe Square Shopping Center (next to Savers). The grand opening event will be on Friday, September 2, 2016, beginning at 9:30 a.m. The Olathe Indian Creek Public Library hours will be 9 a.m. - 8:30 p.m. on Friday, September 2, and from 10 a.m. - 5 p.m. on Satruday September 3. Both Olathe libraries are closed on Sunday September 4, and Monday September 5 for Labor Day. Grand opening events will occur throughout the day on Friday September 2. The ribbon cutting ceremony will take place at 10:15 a.m. with comments from the Olathe Chamber of Commerce, library staff, and Mayor Michael Copeland. The 9,500 square-foot temporary library will serve the community until the permanent east Olathe library location opens in the former Hy-Vee building at 135th St. and Brougham. Renovations are expected to take two years. The temporary library space will host all collections from the Indian Creek Library in Adult, Teen, and Children sections in the open, "loft affect" space that includes a programming room and prominent book drop-off in the entry. The former library location on Black Bob Rd. was closed in early March following a water line break that resulted in significant damage including flooding and eroding of the foundation's subbase. The future, permanent library location in the former Hy-Vee buildingwill offer significantly more space to address issues like capacity, overcrowding, and a parking shortage, that wereidentified in the recently updated Library Master Plan.